TravelEurope Nice hotel reservation service provides you with a wide variety of lodging and hotel options, from cheap hotels to luxury accommodation in Nice. Quick and easy hotel reservations with instant confirmation and great value for money whether you travel for business or tourism. Select travel dates and find all available hotels in Nice, check out guests reviews and locate properties on Nice city maps, book your favourite accommodation with no pre-payment. All rates are in Euros and inclusive of all taxes. The Premiere Classe Nice is located on the Promenade des Anglais, just a few minutes from the sea and near the airport and the A8 motorway. Thanks to the local bus, you can easily reach the city centre. Hotel De La Mer is located in the heart of Nice, Massena Square, next to the Promenade des Anglais and the beautiful beach. From here you can walk to all the famous attractions of Nice. 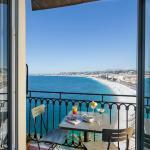 The Hotel Danemark is located in Nice, near the Promenade des Anglais and the Baie des Anges. The beach is only 100 meters away, the center and the shopping area are within a few minutes walk. 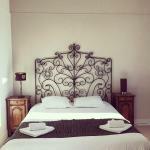 Hôtel Star is located in Nice, not far from the train station and 10 minutes away from the beaches. This convenient central location allows you to quickly reach the old town, the Baie des Anges and the Promenade. Hotel Relais Acropolis takes its name from the Acropolis Convention Center OF Nice, located a short distance away. The hotel's central location allows you to explore the city with its many beauties.